Architect Richard Neutra is most known for the use of clean lines and open spaces. The abundance of flat roofs, framed by steel and surrounded by glass walls became his signature style. In addition, the openness of his houses and the interconnection with the outside made Neutra one of the most acclaimed architects of the last sixty years and also one of the most photographed. Many have told the magic of Neutra’s architecture using photography, but only Julius Shulman got to work so close and so often with the master, to become almost his – accidental – biographer. That’s why it’s not a coincidence that many of the photos you will find in the books we recommend to you today, were shot by Julius Shulman. 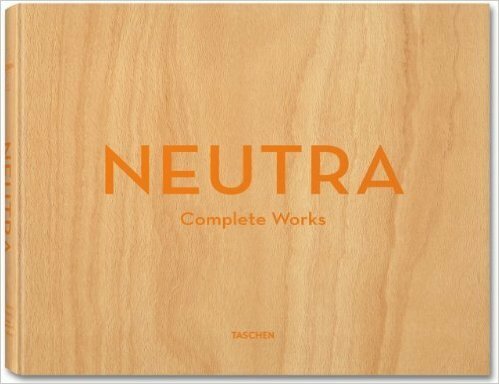 Highlighting a collection of inspirational designs and locations, we think these books show the very best of Neutra’s work. A must for every mid-century architecture enthusiast’s bookshelf. “Indoor-outdoor flow meets clean, crisp modernism in the structures of Austrian-American Richard Neutra, master of postwar architecture whose cool, sleek style synthesized technology with nature. This monograph compiles his complete works—nearly 300 private homes, schools, and public buildings—illustrated by over 1,000 photographs, including those of Julius Shulman.” Find Neutra: Complete Works here. “The Case Study Houses program gave America new models for residential living. 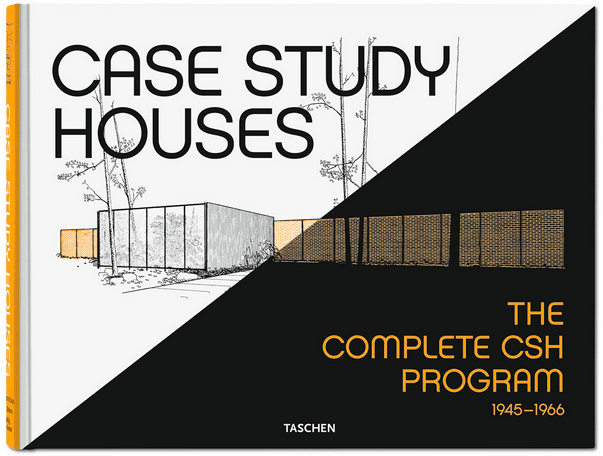 This comprehensive account of the project presents each of the 36 prototype homes through floor plans, sketches, and photographs, and explores how architects like Richard Neutra, Charles and Ray Eames, and Eero Saarinen redefined the Los Angeles landscape and the modern home.“ Find the Case Study Houses – The Complete Program here. “The photographs of Julius Shulman offer one of the most compelling visual chronologies of architectural modernism. 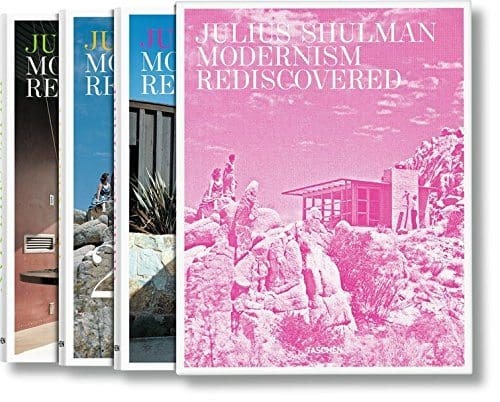 This fresh edition of Modernism Rediscovered draws on Shulman’s personal archives to reveal his images of more than 400 architectural masterpieces from throughout California, as well as the rest of the United States, Mexico, Israel, and Hong Kong.” Find Julius Shulman – Modernism Rediscovered here. ﻿Disclaimer: Buying one of the products we’ve selected for you, we’ll earn us a commission. Feel free to email us at [email protected], to share your feedback and/or suggestions.